RF303C high-speed winding machine is pre-processing for filament twister machines, which is make all type material to Al bobbin which is suitable for filament twister machines. RF303C is simple apperance, easy for maintenance, integrated control by single board computer, with simple operation plane, it is block structure design to meet various need of customers, which max full play machin's function, and exact and stable running. Looking for ideal High Speed Winding Machine Manufacturer & supplier ? We have a wide selection at great prices to help you get creative. All the Winding to Al Cheese are quality guaranteed. 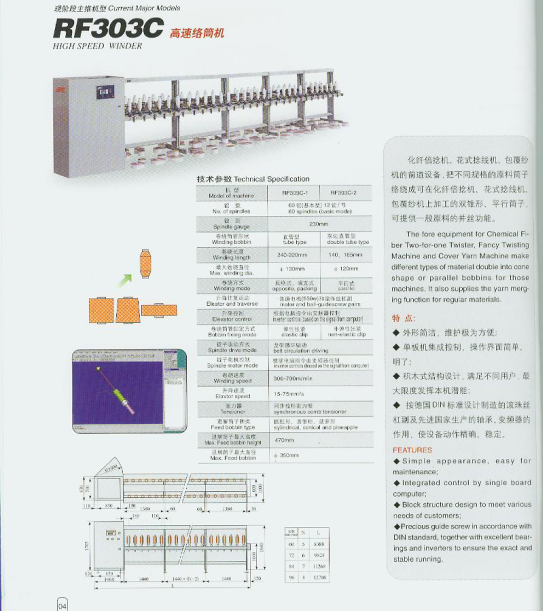 We are China Origin Factory of Rewinding Machine for Al Cheese. If you have any question, please feel free to contact us.